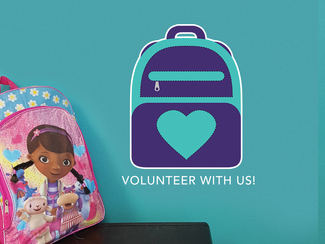 Carrying Hope is looking for 12 volunteers (Families welcome) to join us in our office to pack Hope Packs for children who are entering foster care. This is a great opportunity for adults and kids alike to help children in their community. Please note that SignUp Genius slots are per person, so if you have three people in your group, for example, please sign up for three spots. We request that each of our volunteers purchase an item from our most-needed list to bring with them on their volunteer day. All items must be new (with tags/in packaging) and fit inside of a backpack. Or if you prefer, you can make a monetary donation to go towards items for a Hope Pack for any amount, prior to volunteering. Thank you for helping us provide comfort to children in a moment of crisis and ensuring no child arrives empty handed or with a trash bag on their first night in a new home.